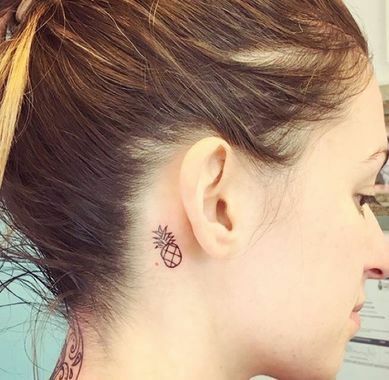 It is hard to imagine today, but there was a time when pineapples were so scarce and expensive in Europe that one pineapple would cost the equivalent of several thousand dollars in today’s money. 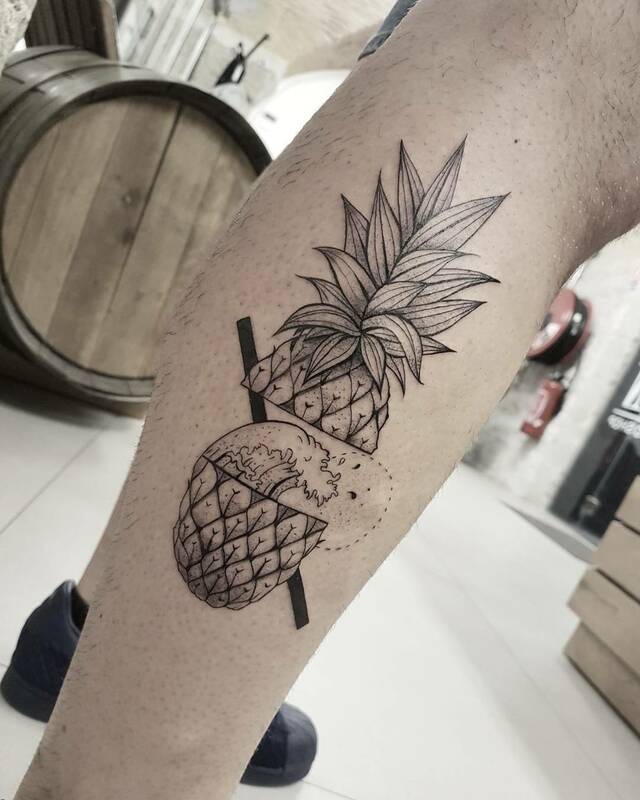 In the 17th century it was common to rent a pineapple which would be used as a centre piece at dinner parties, usually placed on a pedestal as a status symbol and indicator of wealth and generosity. 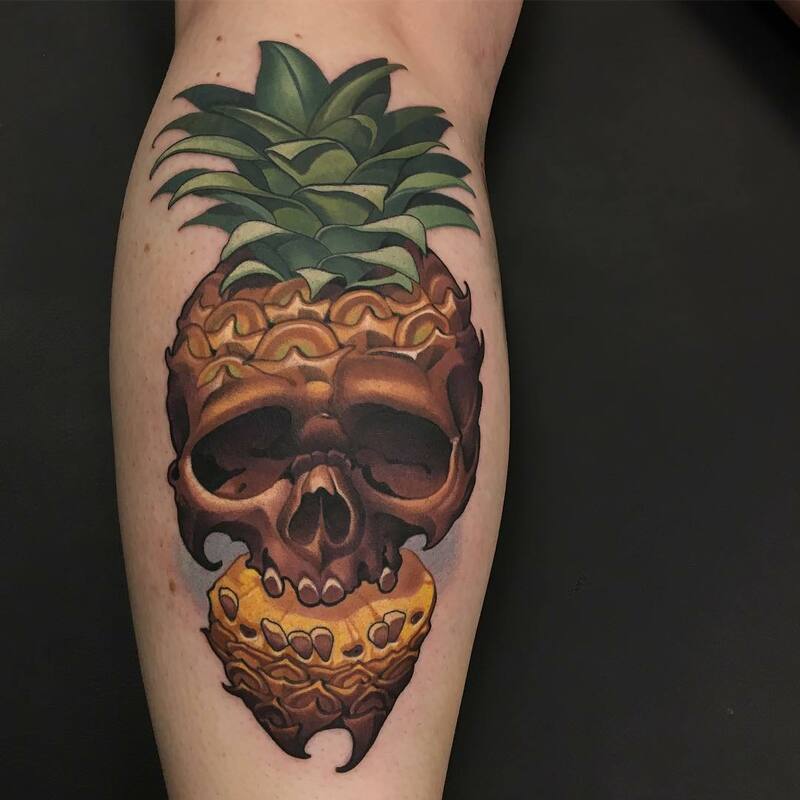 The fruit was usually not eaten until it was almost rotten, it was mostly royalty and the social elite who would actually serve ripe pineapple to esteemed guests. 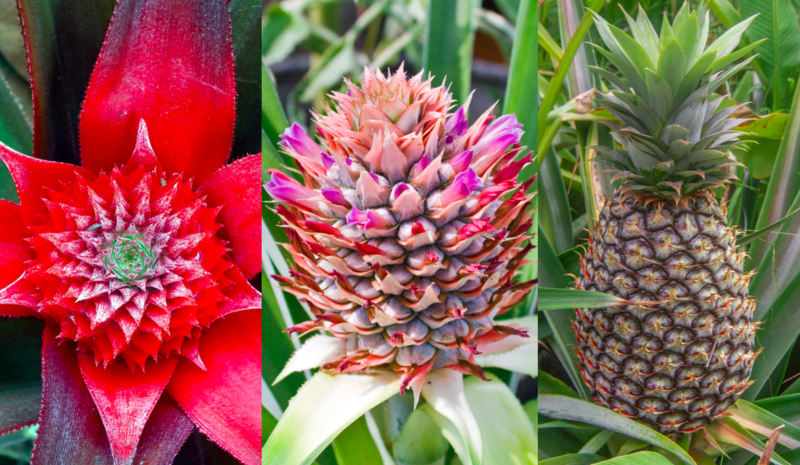 Europe’s love of the tropical fruit became enshrined in various works of art and sculpture, from kings having pineapple paintings and furniture commissioned to the middle class covering their walls with pineapple wallpaper and having pineapple sculptures at the entrance of their house, it was tradition to have these sculptures in the entrance of the plantations, today these are still common in many home entrances as a sign of being welcomed and for aesthetic reasons. 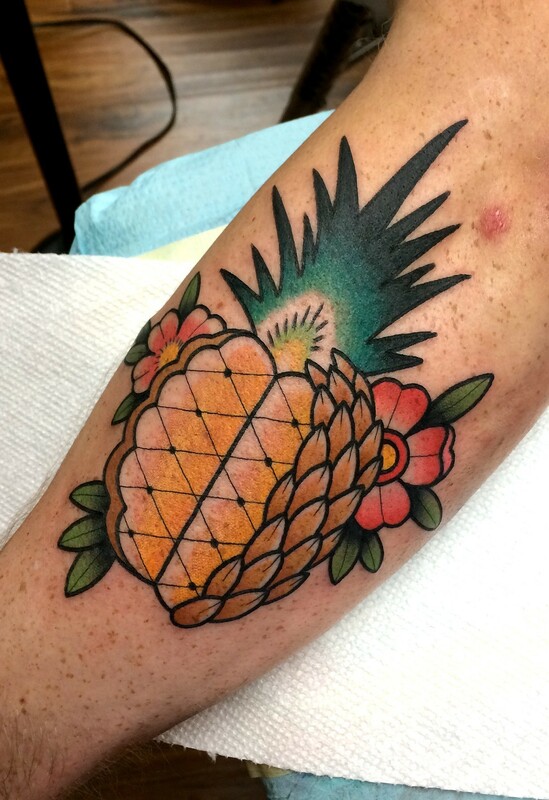 Pine – Because pineapples look like pine cones. 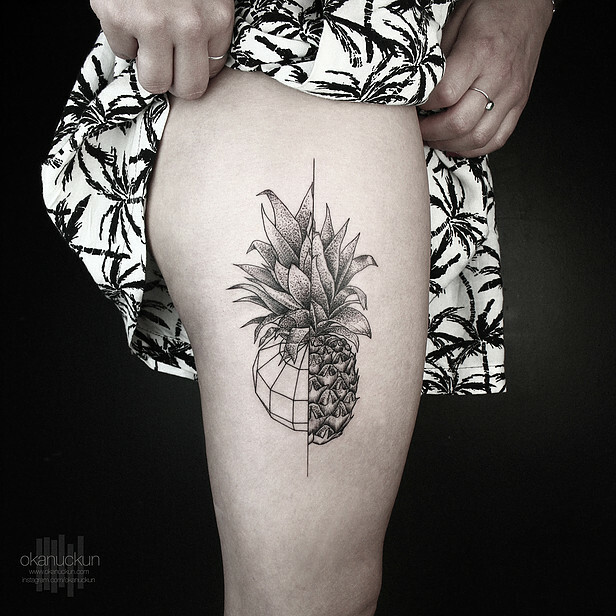 Ananas – In many languages, the name for pineapple is ananas or a variation of ananas. 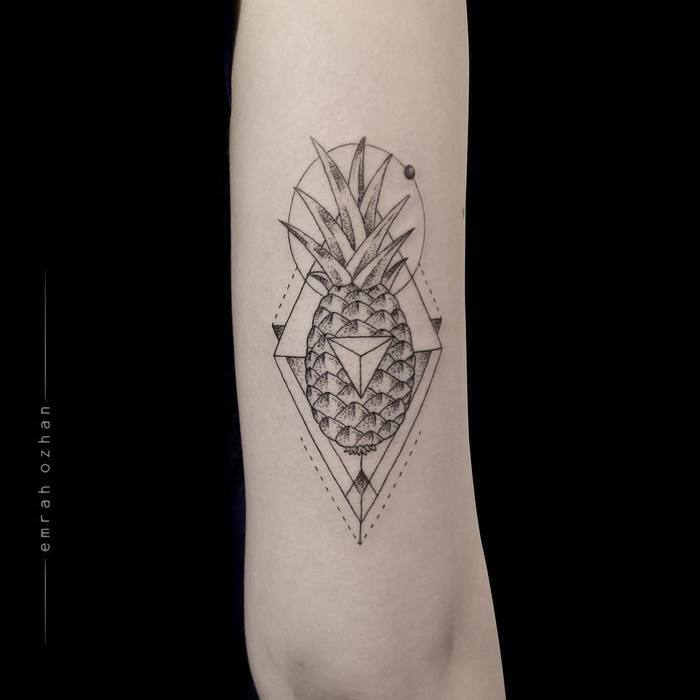 Ananas is also an alternative, though little used, English name for pineapple. 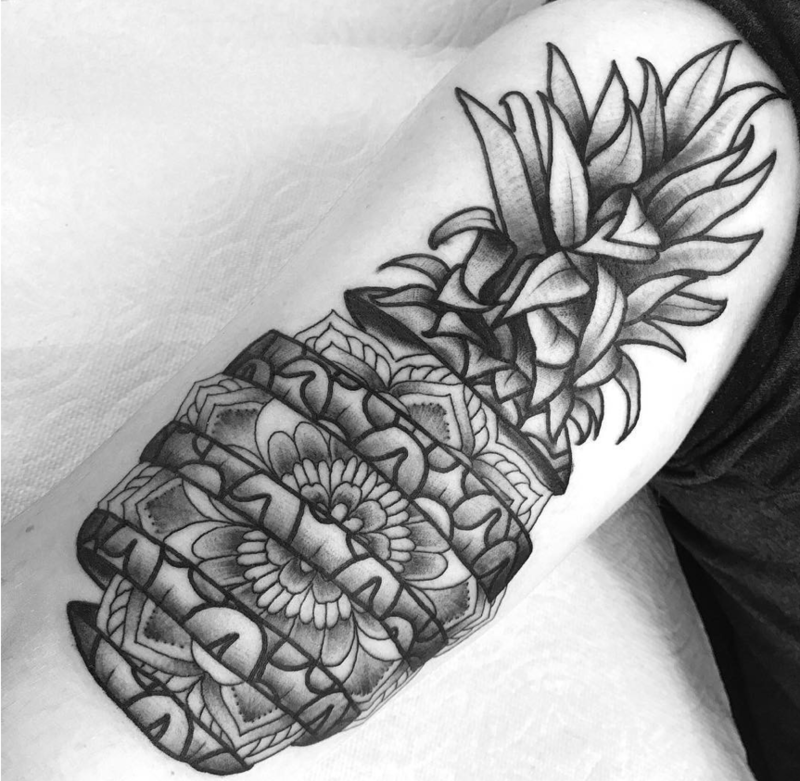 The pineapple is made up of about 200 flowers, the ovaries of each flower turns into a berry then fuses together to make the whole pineapple, once the pineapple is fully developed the hardened scales is what is left of the flowers. 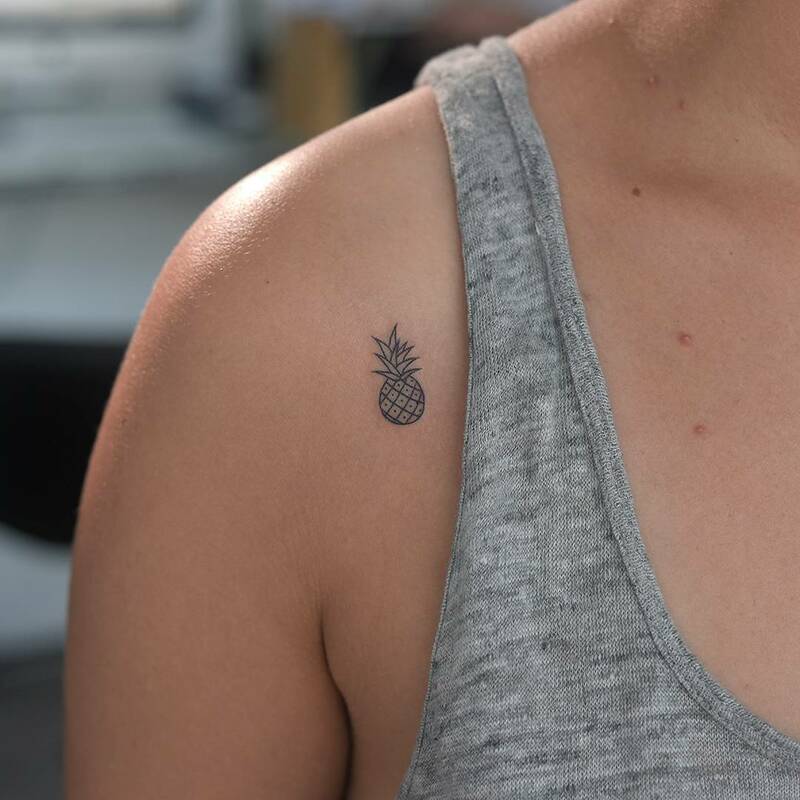 In the wild a pineapple can live up to 50 years and still maintain its fruit. 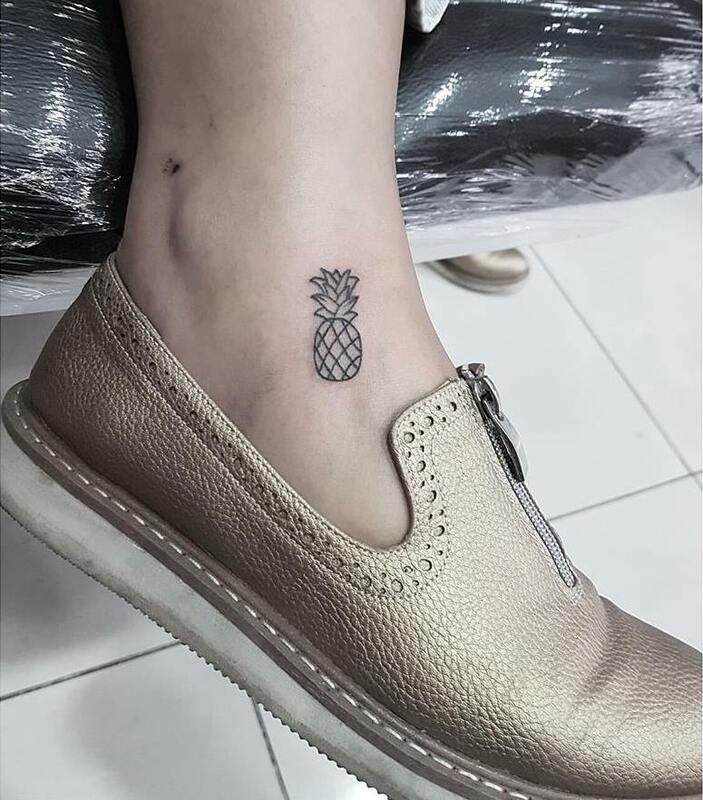 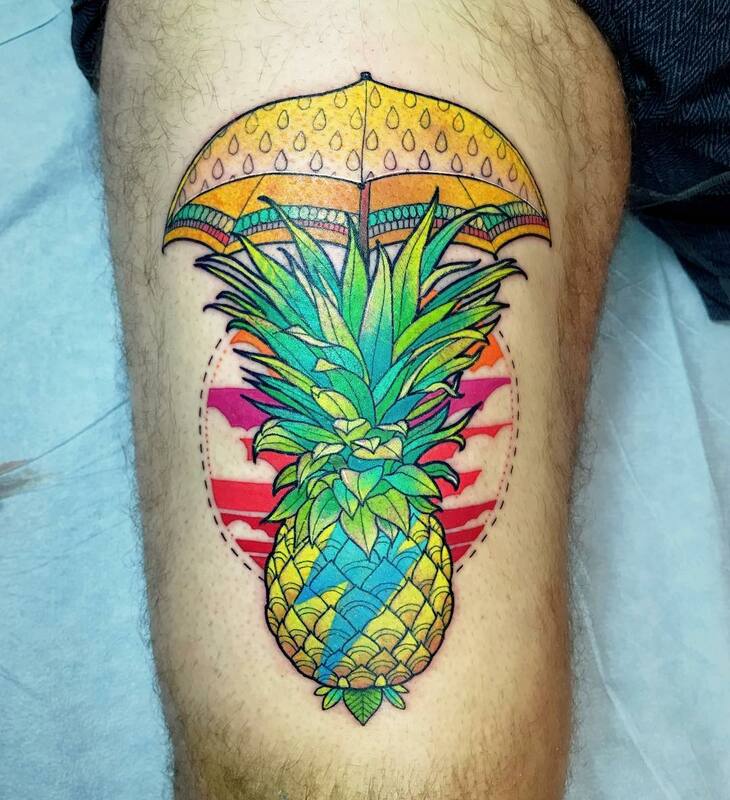 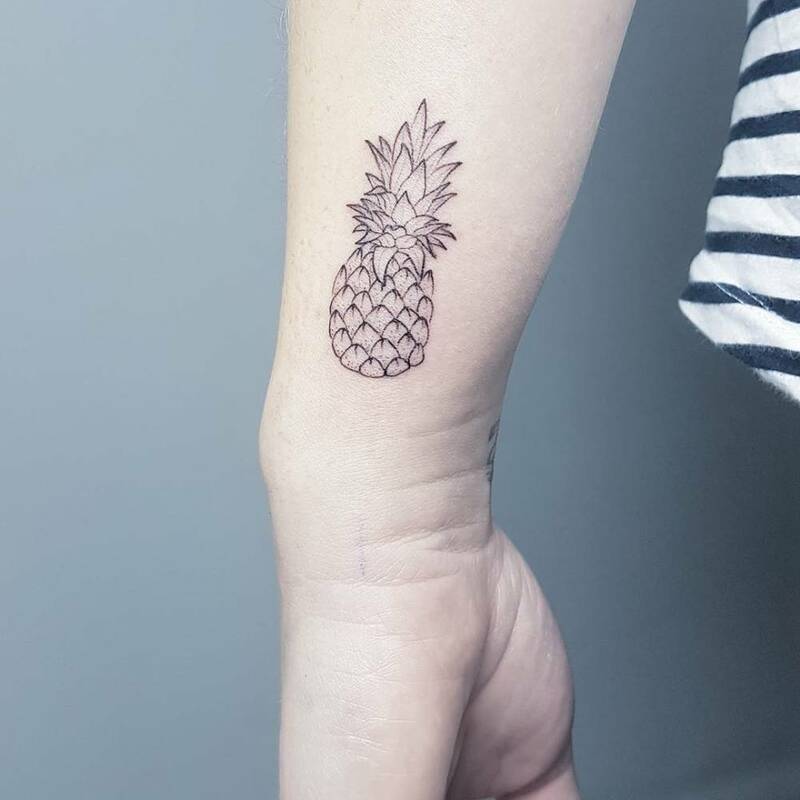 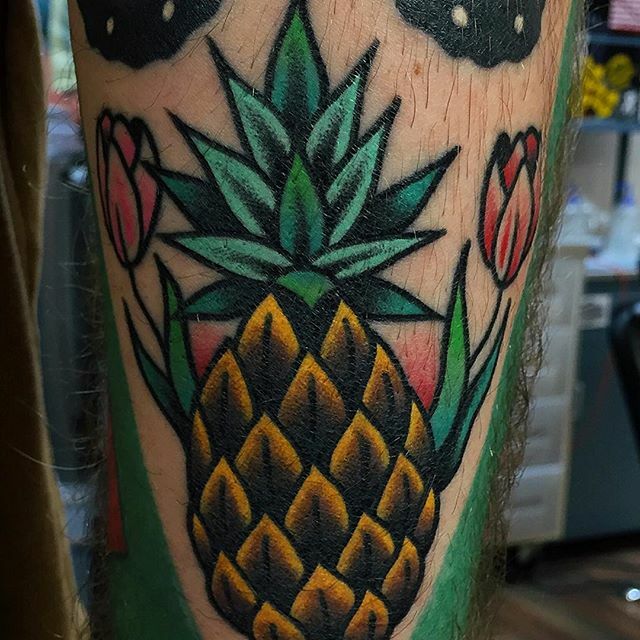 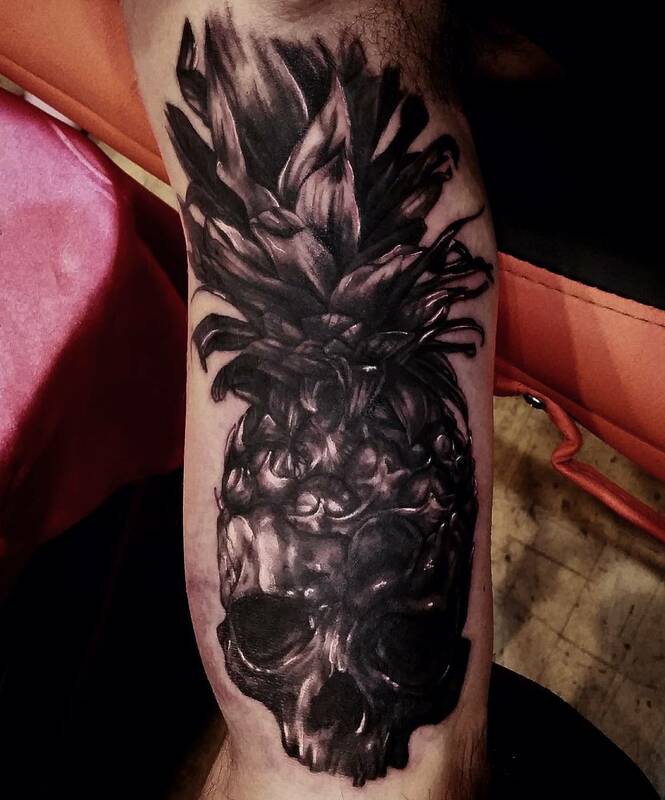 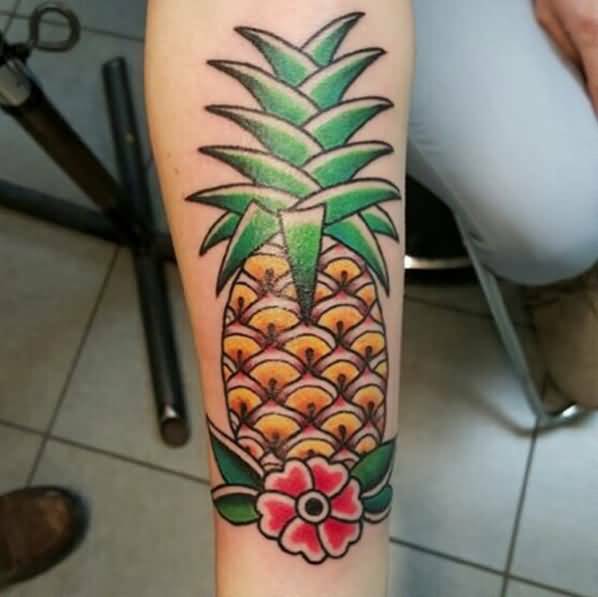 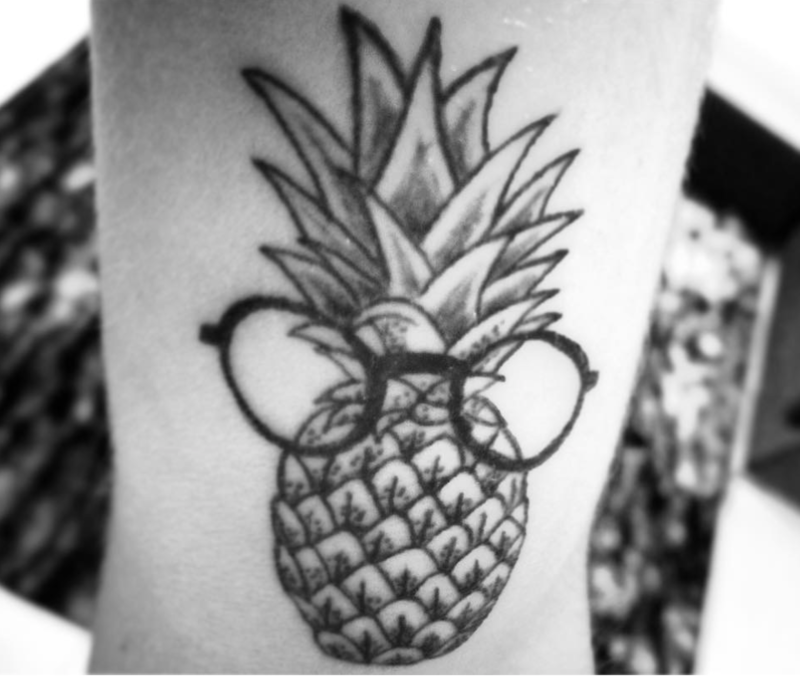 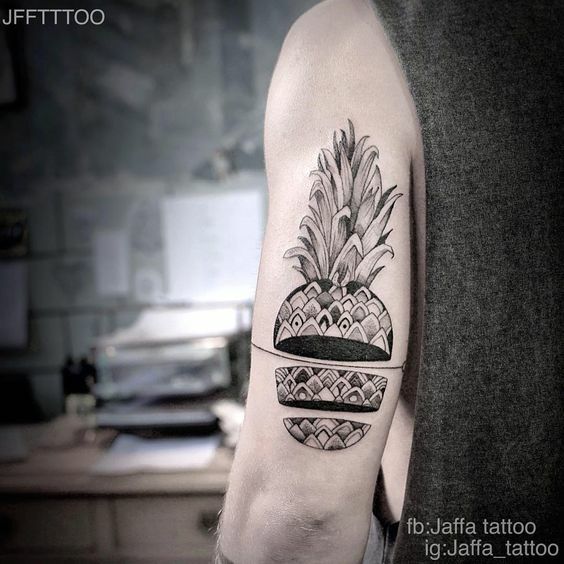 Looking for a pineapple tattoo for ideas? 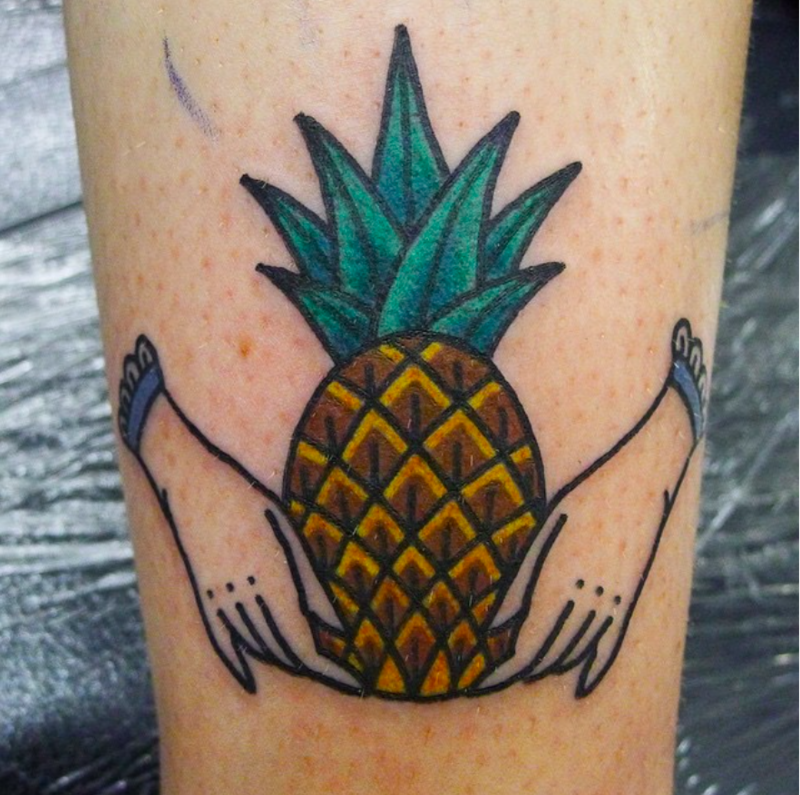 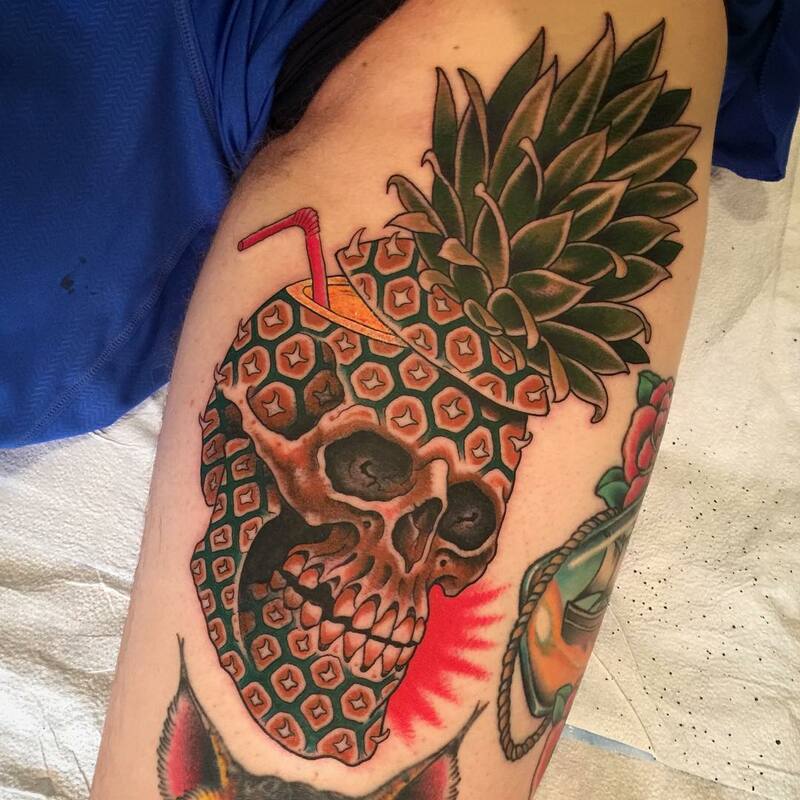 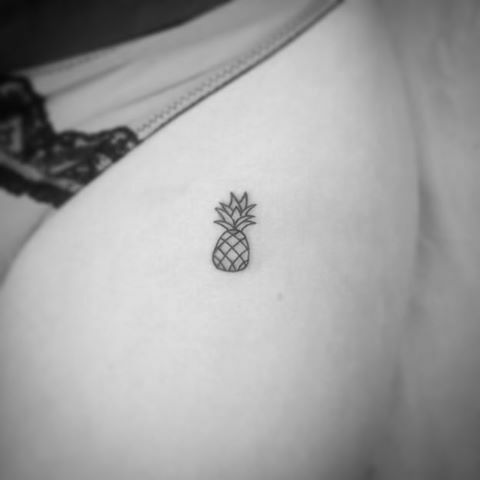 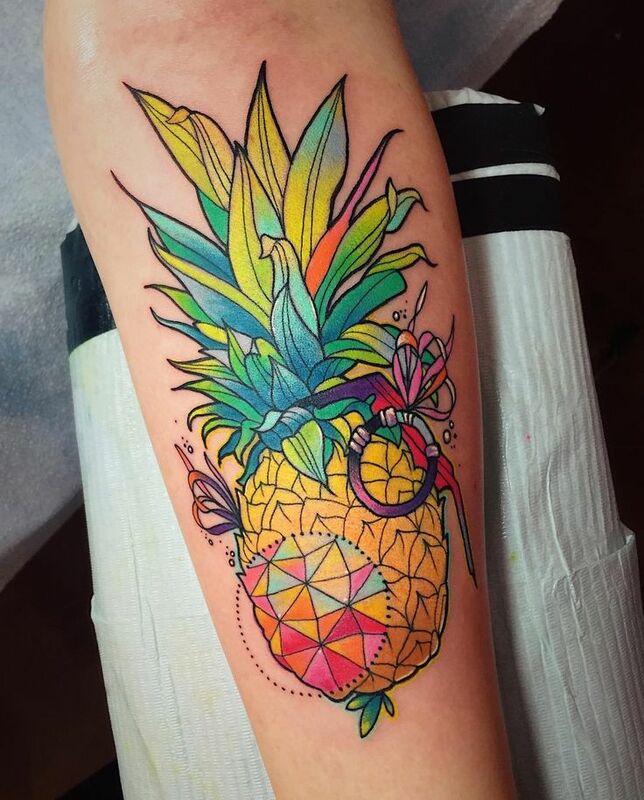 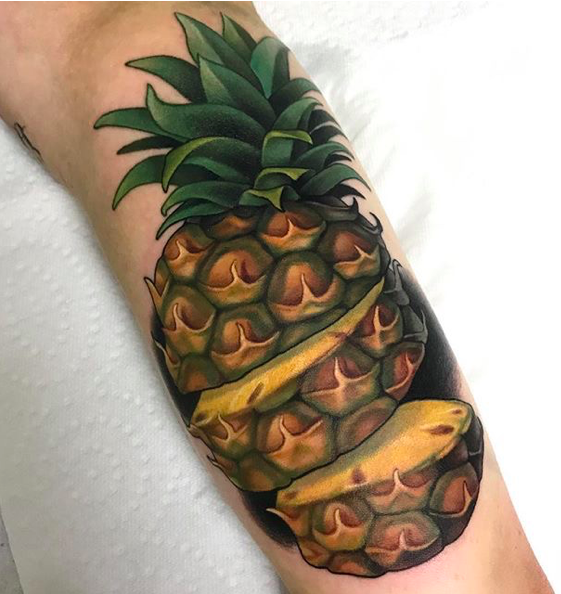 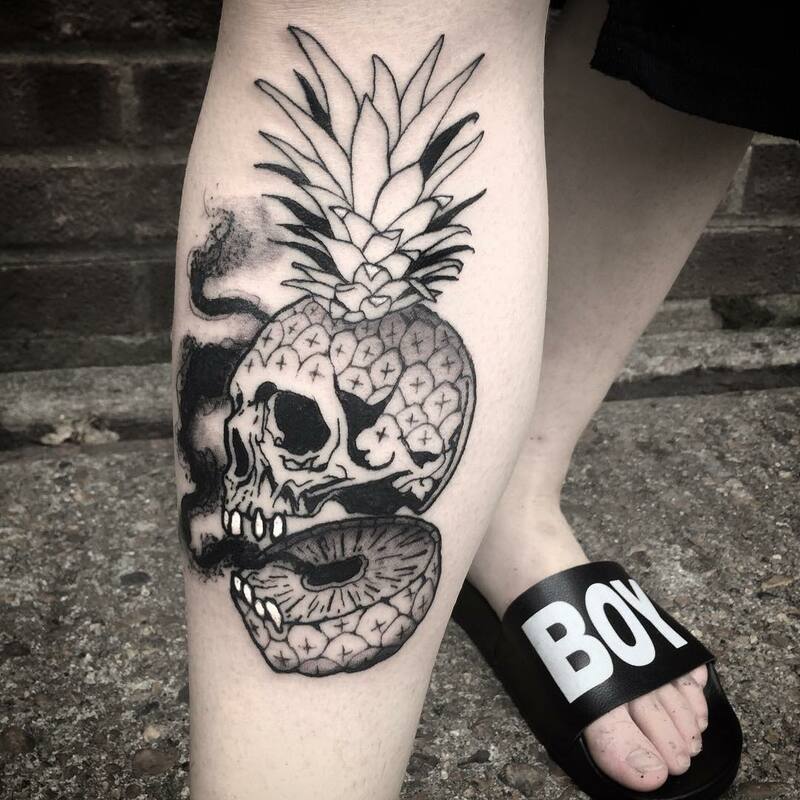 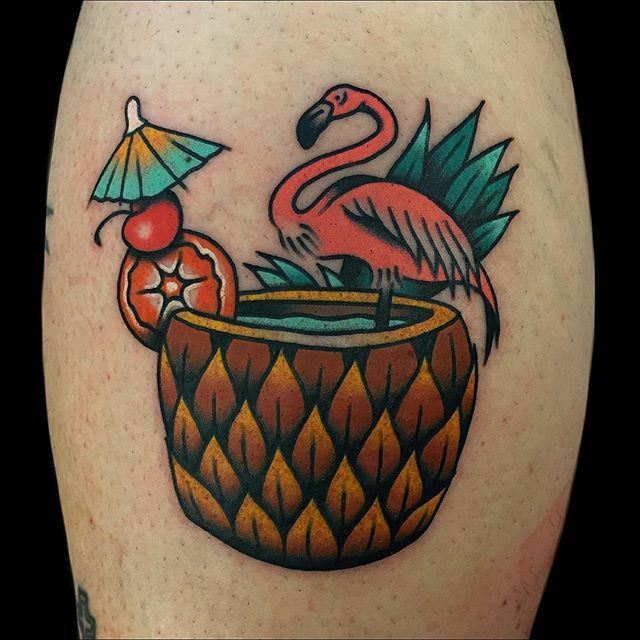 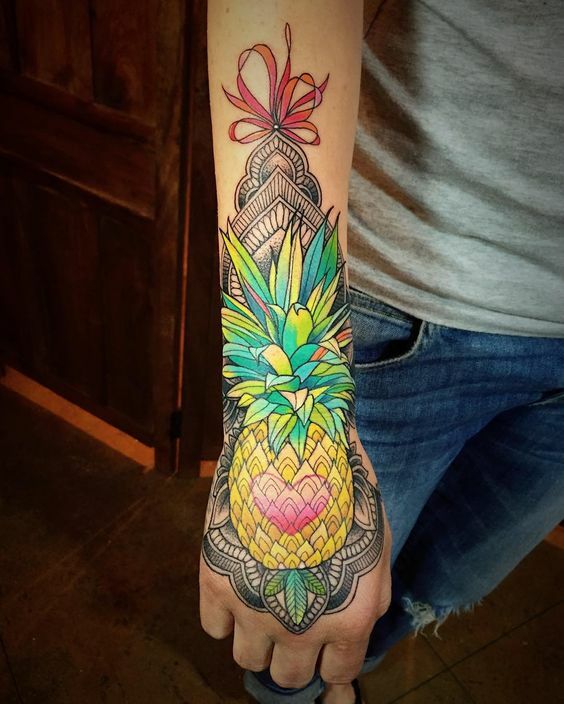 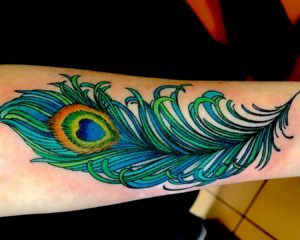 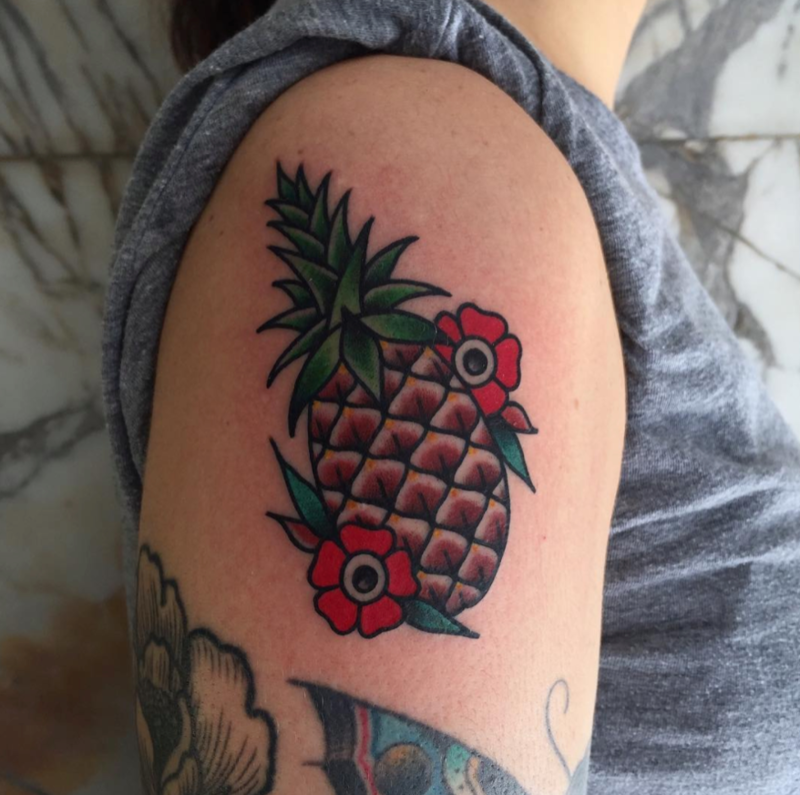 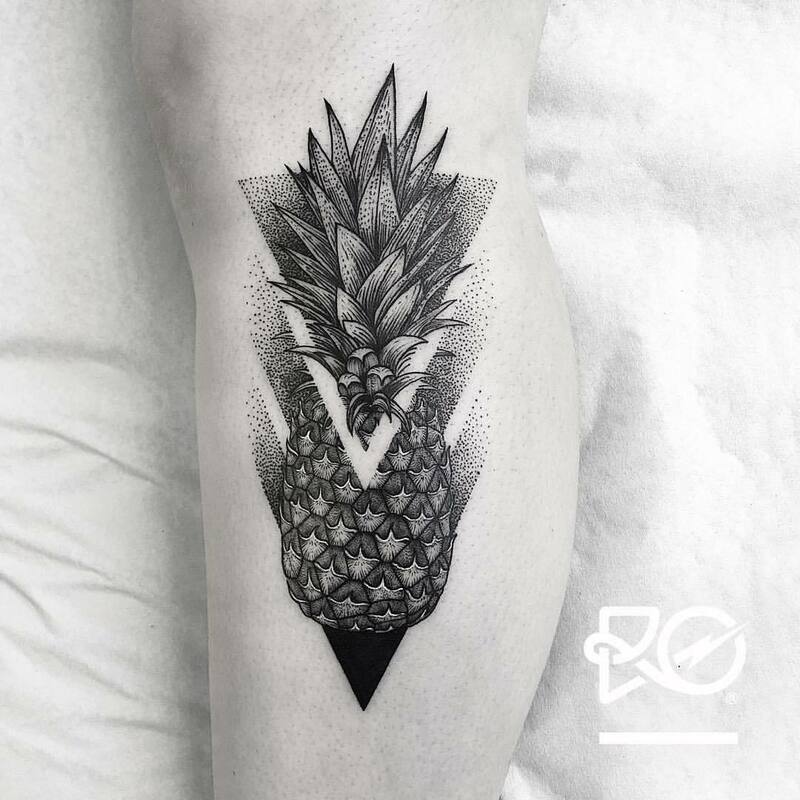 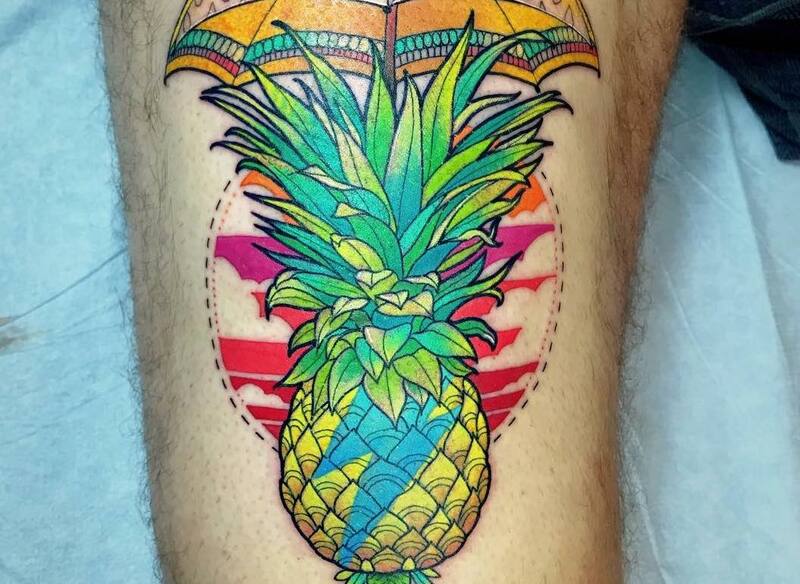 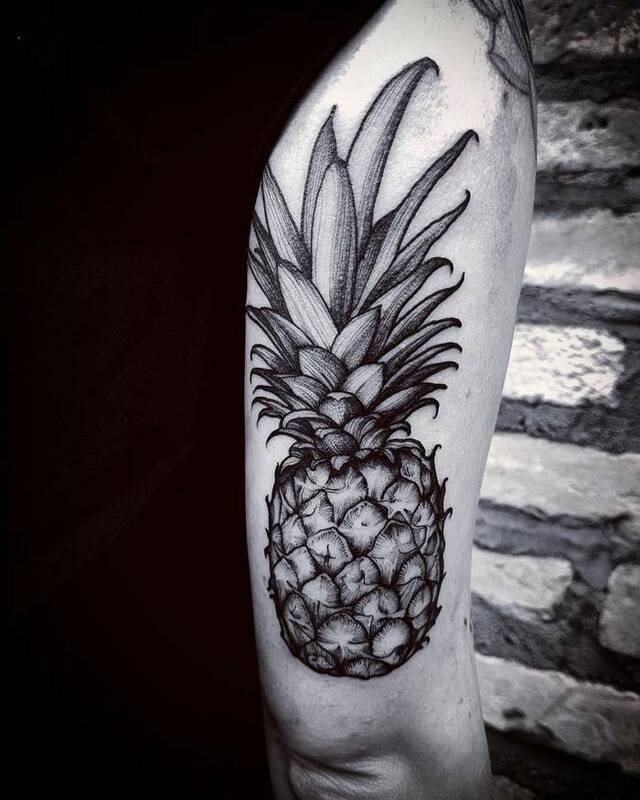 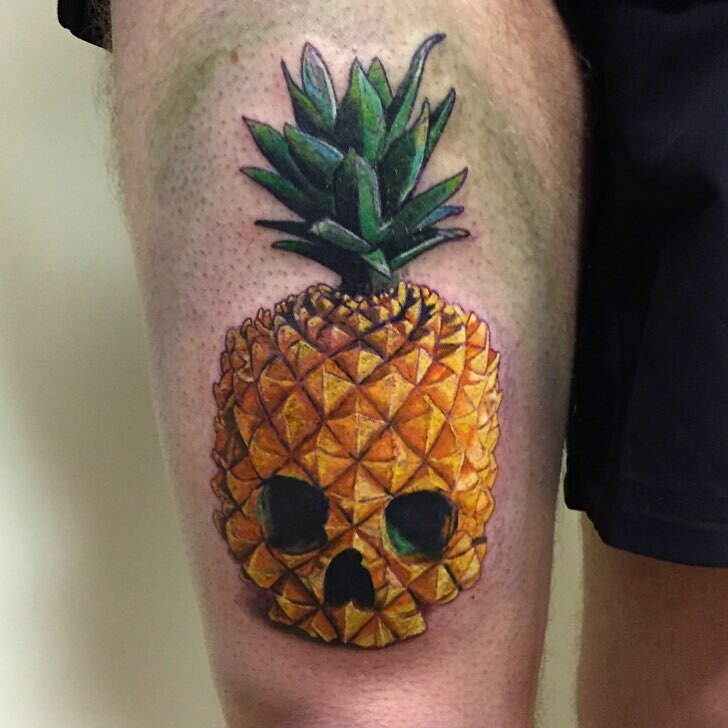 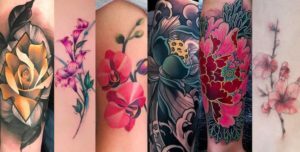 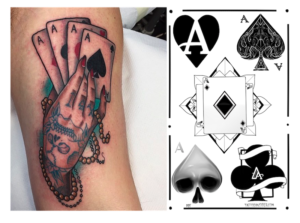 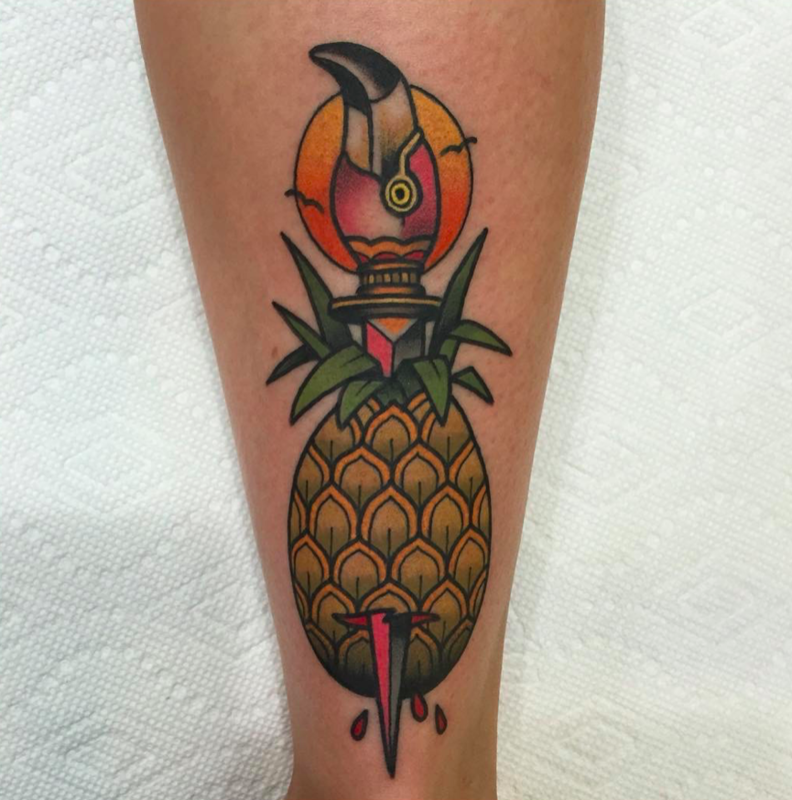 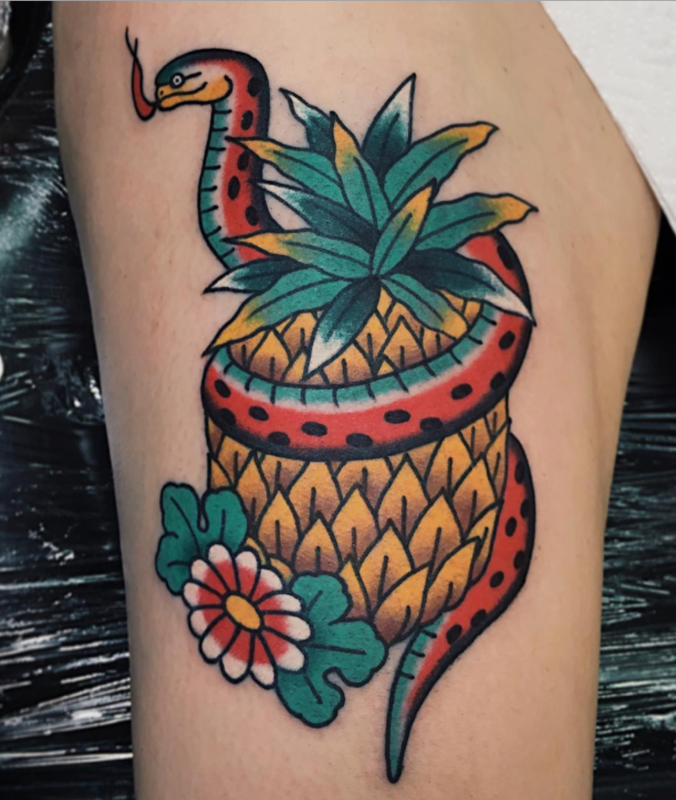 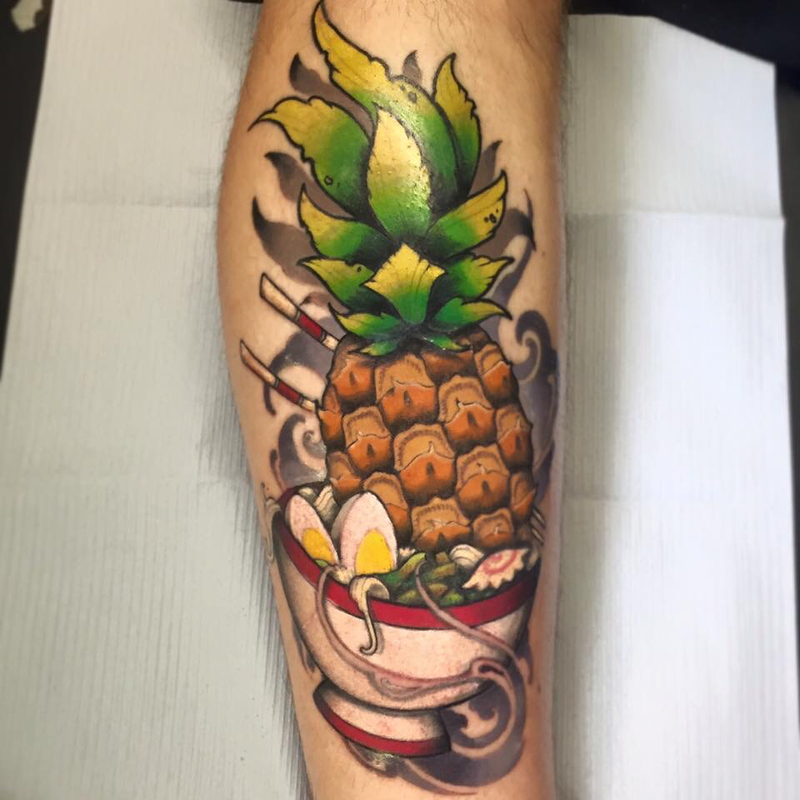 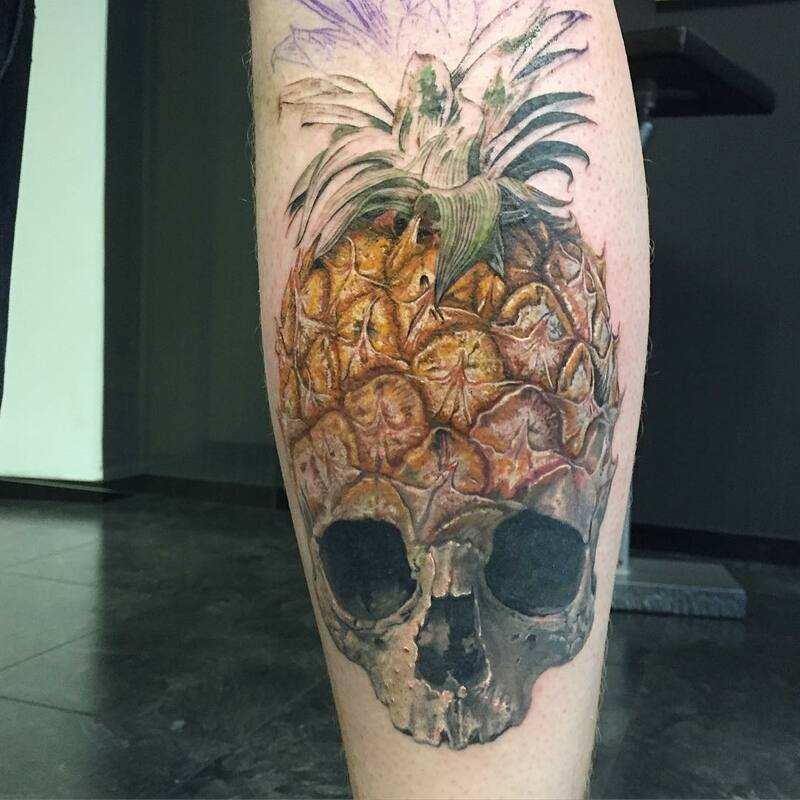 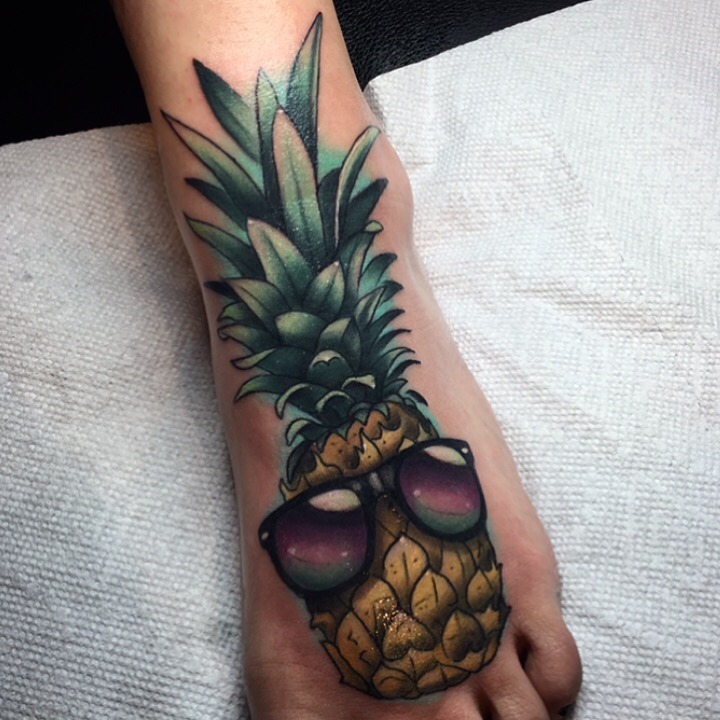 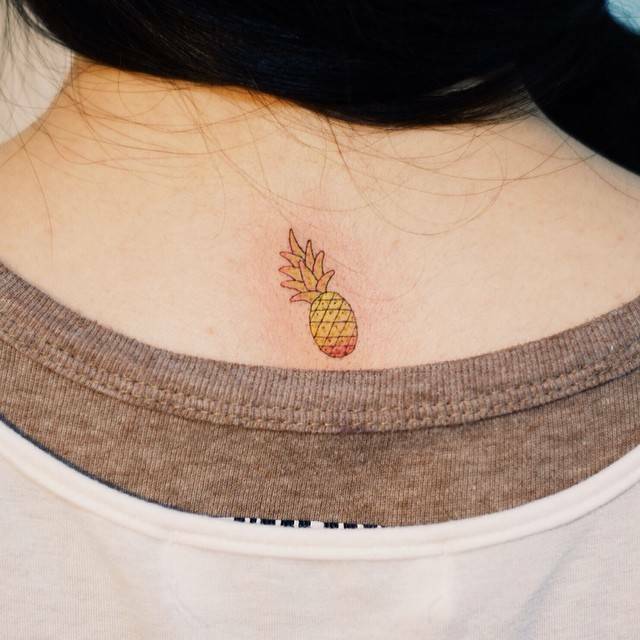 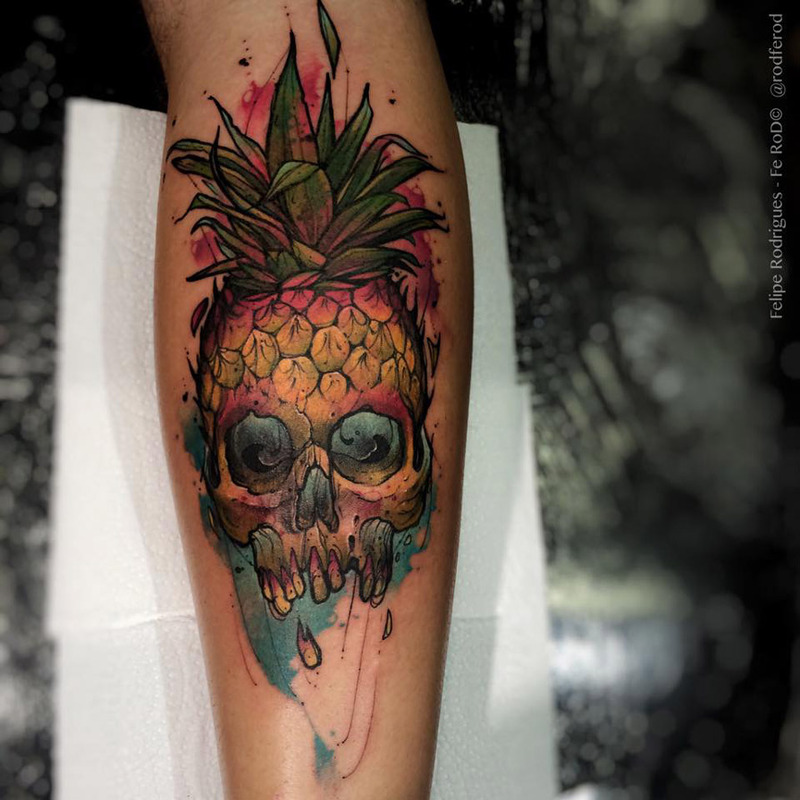 there’s a lot tattoo artists can do with a simple pineapple concept, and with the popularity of pineapple tattoos on the rise there’s a huge amount of quality work being done, we’ve gathered some of the best pineapple tattoos out there in all styles, colours and sizes. 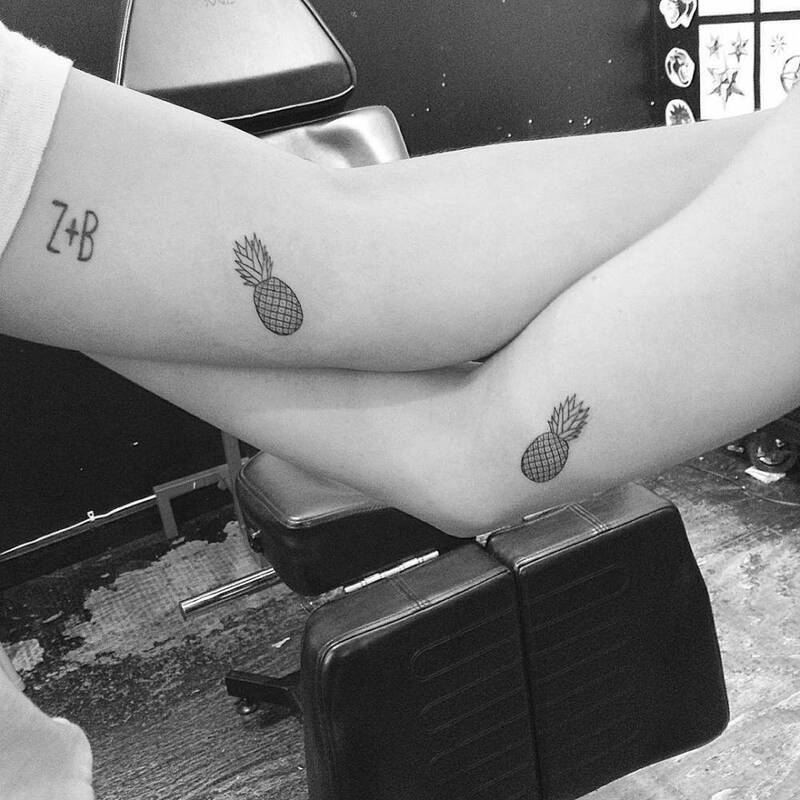 If you’re thinking of getting one then check out these creative pineapple tattoos for inspiration and ideas.